The Playoff committee releases its second top 25 of 2018, with a new team in the top four and jockeying below. It’s still pretty early, and these will fluctuate quite a bit before Selection Sunday. Explanations on some things about this week and the general process are below these rankings, and I’ll update this post with more notes later on. First things first: don’t panic yet. LSU’s a spot higher than I expected, and I had West Virginia jumping Washington State (a team without any really special wins), but otherwise, the top 12 is as envisioned (13, if you count Syracuse, which the numbers called for). Michigan State’s big jump into the top 20 after beating a mediocre Maryland is probably the most surprising thing I see here, but it sets up a Big Game against Ohio State, something the committee seems to like to do. Next week, I’ll resume my campaign for Purdue to be ranked. So who controls their own destiny? The top two are about as entrenched as can be. S&P+ would favor Clemson on the road against any team in the country not named Alabama. The title game is probably a foregone conclusion, but let’s live it up anyway. 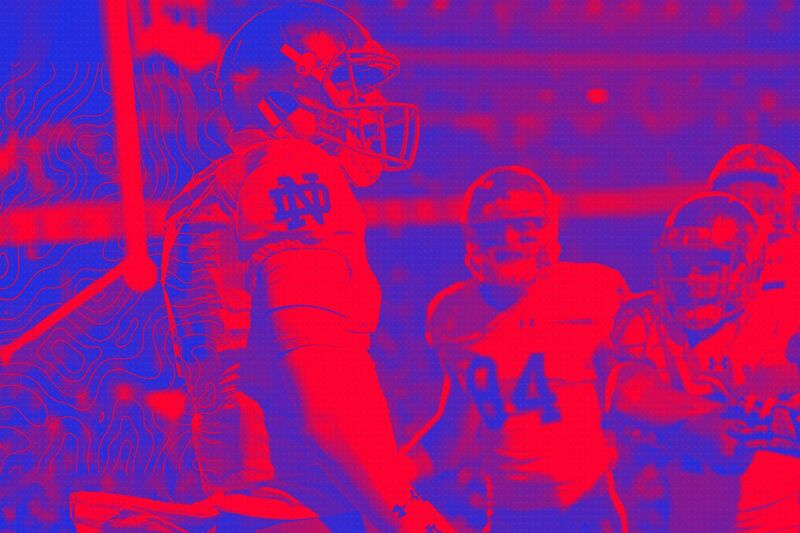 Notre Dame is win-and-in, whether anyone likes it or not. Michigan and Ohio State probably are too. That means Oklahoma and West Virginia probably aren’t. Washington State would need some help. And what if a one-loss Georgia wins the SEC? Bama probably makes it anyway, right? … I think it’ll be Alabama, Clemson, Notre Dame, and Michigan. I’m still toying with the idea that the committee could decide to rank Michigan ahead of Notre Dame at the end, but it’s looking less and less likely that the Big Ten West can offer up a needle-mover of an opponent. Here are the rest of this week’s bowl projections with four Saturdays to go. The top four teams on Selection Sunday in December make the Playoff. The committee’s rankings then help decide the four other New Year’s Six games. Reach Selection Sunday with one or fewer losses (100 percent of Playoff teams have done this). Beat at least three teams in the committee’s Selection Sunday top 25 (93 percent, excluding 2017 Alabama, which means facing a weak schedule is better than losing two games). Win at least six games against FBS teams that have .500-plus records on Selection Sunday (100 percent). Win a Power 5 conference (88 percent). The exceptions were pitted against two-loss champs. Beyond that, the committee pretty much just ranks teams by how good it thinks they are, then applies light reasoning to it if specifically asked during a 90-second window on ESPN. This is the stuff the committee rep (now Oregon AD Rob Mullens) will get made fun of for trying to explain. Game control! Body clocks! Balance! Injury mulligans! OK, let’s do this all again next week.